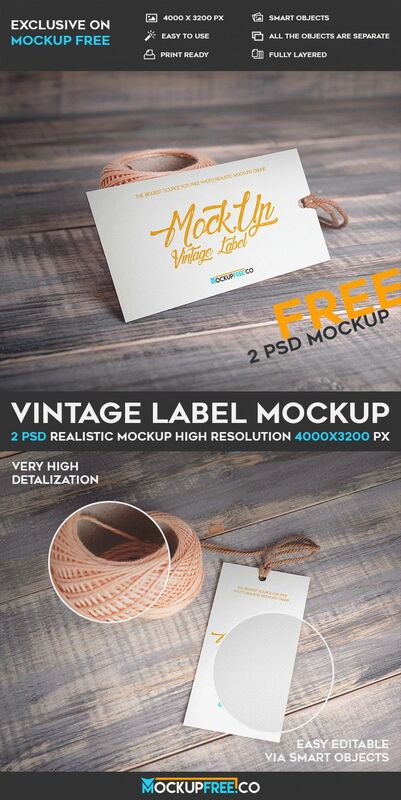 You are welcome to download absolutely Free Vintage Label – 2 Free PSD Mockups for your business and entertainment. Download Free mockup in PSD and easily customize it in Photoshop any way you need. Hope this awesome mockup will be useful for you!